When I was recently asked to attend one of the opening soirees for the award-winning theatrical production Da Kink In My Hair by the marketing team of the all-around amazing trey anthony, I was truly ecstatic. Da Kink (as it’s lovingly called) is a one of a kind stage play, produced by Canada’s own Oprah if you will – trey anthony (spelled in lower case). Believe me, I will need a whole other post to explain the greatness that trey anthony is, but for now, we will focus on her baby – Da Kink In My Hair. Da Kink first premiered in 2001 at The Toronto Fringe Festival and was an instant hit. It enjoyed runs at the New York Fringe Festival, Toronto’s Harbourfront Centre and the Passe Maraille Theatre. However, in 2005 it caught its groove as a Mirvish Productions play and took Toronto by storm selling out the 2000 seat Princess of Wales Theatre show after the show. I attended the show twice and told everyone I could about my experience. Obviously, I wasn’t the only one to do so. The word about the phenomenal play spread like wildfire and soon after its sensational run, they also had a two-season TV show spinoff on Global TV. Accolades and awards poured in: 4 NAACP awards, Toronto Dora Award nominations and positive praise and testimonials. Not too shabby for the little play that could. Fast forward to 2011 and Da Kink is back, re-staged and revamped for old fans and newcomers alike. The setting of the play takes place in a Caribbean salon with eight women telling the story of their lives touching upon issues in the Black community that we are most likely to skirt around. Interracial couples and racism, gun violence and lesbianism to name a few. The creative and superb musical score is composed by Broadway musical director and arranger Michael Elroy and Carol Maillard of the Grammy® award-winning group Sweet Honey in the Rock. Watching the characters interact with each other reflects the true to life dynamic of any Caribbean salon. The laughter, the sharing, the gossiping and the love. Each character’s compelling story is told with heart, torment, anger and triumph. You will be driven through a myriad of emotions, nonetheless, know that your heart will be filled with pride and joy by the end of the production. The setting of the Enwave Theatre is perfect – intimate and enclosed. Throughout the play, you can hear those in the back sass-talking characters as they told their story. Of course, nothing can be done without a memory triggering soundtrack. The Jamaican vibes of reggae music emanated from the speakers, from the likes of Beres Hammond, Nadine Sutherland and Wayne Wonder. Heads were nodding and lyrics were spilling from the lips of attendees. It all added to the energy of the night. There was also a mini art exhibit entitled LOOK.AT.ME. which showcased a few of the phenomenal art pieces that have been featured in the show by some of the most gifted and talented artists on the scene. The play was intense, the atmosphere was jubilant and everything, on the whole, was unsurpassable. The show ended with a loud and thunderous applaud and a standing ovation. Exactly what was expected and well deserved. 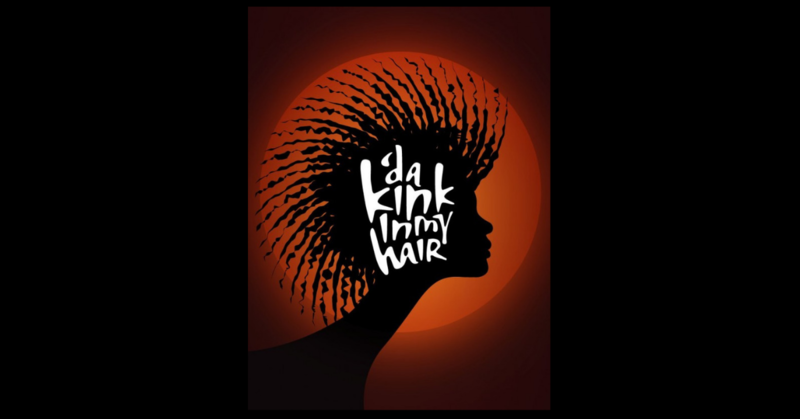 ***Da Kink In My Hair will be staged at the Enwave Theatre at Toronto’s Harbourfront Theatre from August 11th – 28th. Tickets can be purchased here and for more info please call (416) 973-4000.